David L. Cohen, Executive Vice President of Comcast Corporation on the NBC4 Viewpoint set. Viewpoint airs every Sunday at 7 am. 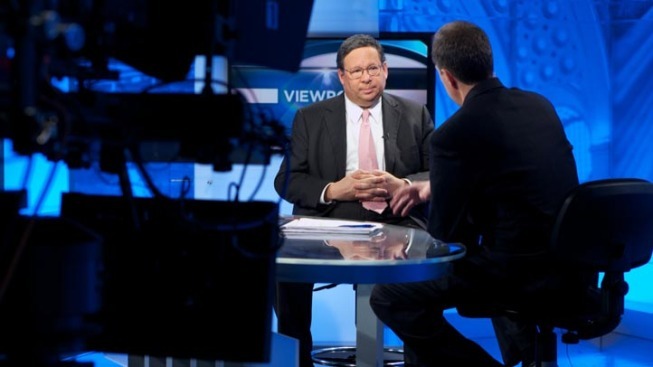 David L. Cohen, Executive Vice President of Comcast Corporation, recently sat down with News4 anchor Jim Handly on The Viewpoint to talk about Comcast’s Internet Essentials program and the significant progress it has made in the two years since it began. The Viewpoint is a half hour public affairs program that airs Sundays at 7am within News4 Sunday. The show, hosted by News4 anchor Jim Handly, is produced by NBC4 Community affairs. For more information on the Internet Essentials program click here.